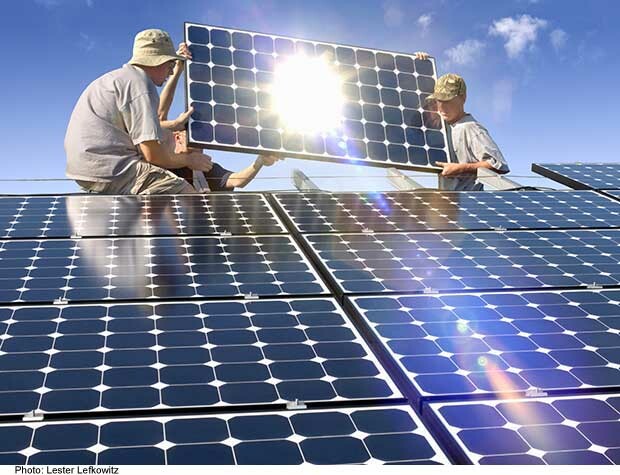 Arizona Solar Center - Will Rooftop Solar Really Add to Utility Costs? Regulations in most states obligate utilities to derive some of their electricity generating capacity from renewable sources. Unsurprisingly, the most widely available options—wind and solar—dominate. The International Energy Agency (IEA) estimates that by 2050, solar photovoltaic (PV) power generation will contribute 16 percent of the world’s electricity, and 20 percent of that capacity will come from residential installations. By offering local generation, residential or rooftop PV reduces the need for transmission facilities to move power from large generating stations to distribution substations. But the effect on the distribution grid is less straightforward. The conventional distribution grid is designed for neither two-way power flow nor large generation capacity. So the prevailing thought is that the grid will need a costly upgrade to accommodate the high PV penetration. Our study within the Full Cost of Electricity (http://energy.utexas.edu/the-full-cost-of-electricity-fce/) program aims to estimate the cost of maximizing residential PV capacity without any grid impacts. The bottom line? We found that even without hardware upgrades to the distribution circuits, such circuits can handle significant solar generation. 3. with additional infrastructure upgrades such as smart inverters and energy storage. 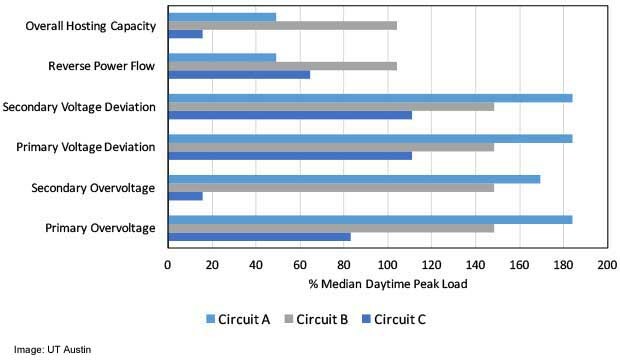 Depending on a distribution circuit’s characteristics, the maximum PV capacities it can handle range from as low as 15.5 percent of the median value of the daytime peak load demand (2.6 megawatts in one particular circuit) to more than 100 percent (3.87 MW in another circuit). These results suggest that significant rooftop PV generation can be integrated in the grid with little or no additional Photo: Lester Lefkowitz cost to utilities and their customers and without causing any adverse grid impacts. In fact, our study shows that at such levels, impacts due to PV generation are either non-existent or can be addressed by appropriate circuit operational changes. Suma Jothibasu is a graduate student and Surya Santoso (http://aspires.ece.utexas.edu/bio.html) directs the Laboratory for Advanced Studies in Electric Power and Integration of Renewable Energy Systems, within the Department of Electrical Engineering, Cockrell School of Engineering at the University of Texas Austin.